Assembly Election Results 2018: As BJP Trails, Uddhav Thackeray Praises Voters For Rejecting "Those Not Wanted"
Uddhav Thackeray Praises Voters For Rejecting "Those Not Wanted"
Election result trends show the Congress ahead of the BJP in Chhattisgarh and Rajasthan and locked in a see-saw battle in Madhya Pradesh. 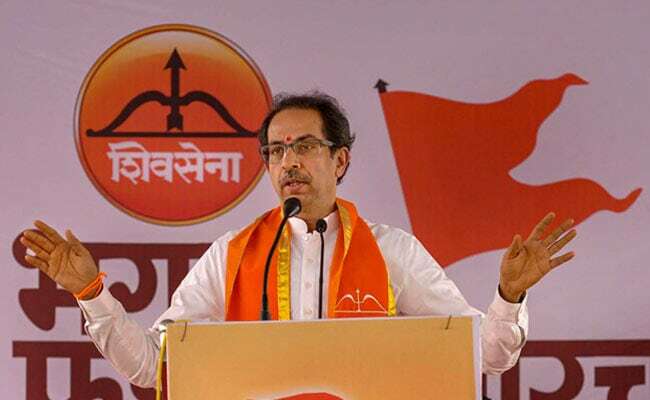 Shiv Sena chief Uddhav Thackeray today said voters have rejected those they did not want and lauded their "courage" for showing the way forward to the country in an attack on the BJP after trends show the Congress ahead in Chhattisgarh and Rajasthan and locked in a see-saw battle in Madhya Pradesh. Mr Thackeray in a statement said, "I congratulate the courage of the voters who did not think about the useless question of who would be the choice (to the ruling parties in five states)." Shiv Sena is an ally of the ruling BJP at the Centre and in Maharashtra. "They (voters) did not think about EVMs, distribution of money, hooliganism or who would be the alternative to all of this, but rejected those they did not want. True courage is not worrying about future. The courage of voters has shown the country the way forward," he added. In Telangana, the TRS was set to form its second successive government while the Mizo National Front (MNF) was surging ahead in the Mizoram Assembly polls. "While political parties keep winning and losing elections and the winner should be congratulated, people's courage needs to be recognised in the elections to these five states," said Mr Thackeray.